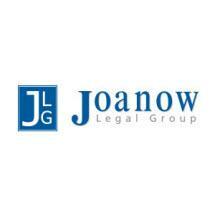 Clients seeking representation from the Joanow Legal Group in Hermitage, Pennsylvania, can expect professional, exemplary services in a wide range of legal matters, including personal injury, workers' compensation, estate planning and civil litigation. The law office accepts clients throughout the counties of Mercer, Crawford, Venango, Butler and Lawrence, as well as in Hermitage and throughout the Sharon metropolitan area. Having more than three decades of experience, the law office team is well-prepared to address any problem clients present, whether they are fighting an insurance company or major corporation after a serious injury or preparing to write their wills. The firm's personal injury experience includes motor vehicle and trucking accidents, slip-and-fall accidents, and premises liability. With a reputation for professionalism and attention to detail, team members are also known for their compassion and patience when helping injured clients obtain the compensation they need to move on with their lives. The top goal at the law firm is for every client to feel valued and listened to. For clients' convenience, the law office accepts credit cards and offers a free initial consultation to discuss potential cases.